Our hair and scalp like everything else is affected by ageing, as well as everyday wear and tear. Imagine the stress each strand of hair endures every time we wash, brush or use harsh elastic bands. Now add exposure to pollution and products that mask problems rather than treating them. No wonder so many of us struggle to grow our hair out beyond a certain length. The Rejuvenate My Hair Shampoo is enriched with a blend of Rosehip, Baobab and Biotin. It’s beautifully scented without being overwhelming. A small amount goes a long way with this shampoo, lather up and rinse! It left our hair feeling squeaky clean while adding body and shine to our locks. Even the most sensitive scalp seems to love this shampoo, it’s hydrating without making the scalp oily. It’s kind, that’s the best way to describe it. To repair our sun damaged locks we decided to try out something a little more intense than a conditioner.The Rejuvenate My Hair Treatment is a deeply nourishing hair mask from the same range. What’s unique about this treatment is that it can be applied from the roots to the end and only needs to stay on for a few minutes to give you an astonishing result. One would expect a mask of this strength to leave the hair feeling heavy and the scalp oily but on the contrary this mask left our hair feeling and looking silky soft, bouncy and strong, while our scalp felt refreshed. Again, a delicate scent makes this product a winner, as well as the added UV filter. 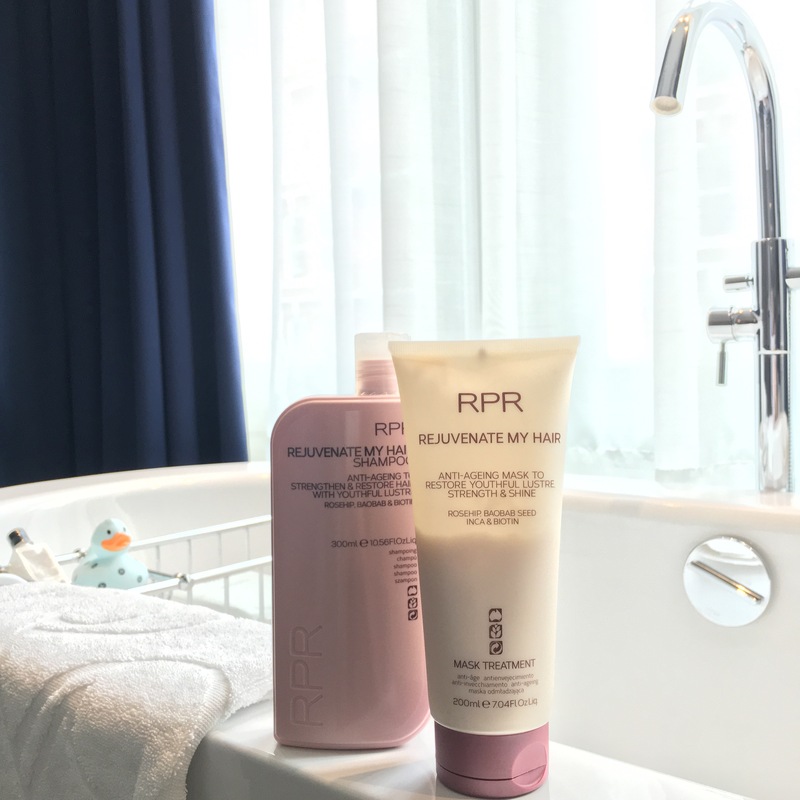 RPR is known for their signature spa-like blends, they source the most advanced natural and scientific ingredients n order to create products that do what they say they will do. We love the packaging of these products – minimal, elegant and recyclable. RPR products are Paraben free and not tested on animals and therefore they get a big LIKE from us. The price reflects mid-range but the results are what you expect to achieve with a high-end hair care line.